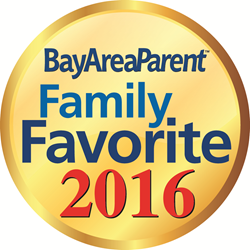 Bay Area Parent Magazine Awards PROaupair Best Nanny Agency and Best Special Needs Resource in both San Francisco/Marin and the East Bay as part of its 2016 “Best of the Best” readers selection contest. Susan Asay, founder and CEO of PROaupair: Most of our host families have children with special needs and these awards demonstrate the importance our families place on our program and our professional au pairs. PROaupair, a boutique au pair agency specializing in live-in professional childcare, announced today it has received four Gold Awards for “Best Special Needs Resource” and “Best Nanny Agency” in both San Francisco/Marin and the East Bay, as part of Bay Area Parent Magazine’s 2016 “Best of the Best” readers selection contest. In addition, it received a Silver Award for “Best Nanny Agency” and a Bronze Award for “Best Special Needs Resource” in the San Francisco Peninsula. All of PROaupair’s professional au pairs have professional degrees and training in such fields as pediatric nursing, occupational and physical therapy, early childhood education, and special education. Au pairs can work up to 45 hours per week and live with their American host family for up to two years. Bay Area families interested in more information can contact PROaupair at 844-787-6566 or by visiting http://www.proaupair.com. Founded in 2008, PROaupair is a boutique au pair agency designated by the U.S. Department of State and the only au pair agency specializing in live-in professional childcare. PROaupair’s professional au pairs all have degrees and/or significant experience in fields such as pediatric nursing, occupational and physical therapy, and early childhood education. PROaupair places au pairs with families in the U.S. and Australia and maintains offices in the U.S., Australia and Germany. For more information about PROaupair, please call 844-787-6566 or visit http://www.proaupair.com.